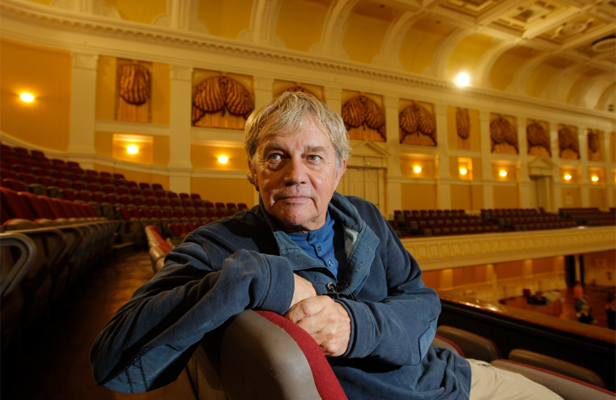 It was announced via Diana Gabaldon herself during an interview that Frazer Hines is joining the cast of Outlander. He will be playing Sir Fletcher Gordon, the governor of Wentworth Prison. If you remember hearing Diana Gabaldon talk about the origins of Jamie, she refers to seeing a man in a kilt in an episode of Doctor Who. That actor is none other than Frazer Hines, so with his casting, it comes full circle. Frazer Hines started as a child actor in the 1950s and has worked as an actor ever since. He was born in 1944 in England. He has appeared in many television series and films. Please check out his IMDb profile for details. Congrats to Frazer, and welcome to the Outlander Community! This entry was posted in Frazer Hines, Production News and tagged Casting, Frazer Hines, Sir Fletcher Gordon by Sarah Ksiazek. Bookmark the permalink.